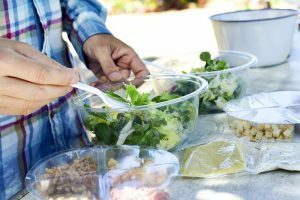 Menu planning and meal prepping for a family is many times a challenging task – tastes, food allergies and time to name a few twists – but meal prepping for a baby takes it to a whole new level. Figuring out what to feed to a baby who is experimenting with solids and whose preferences change quickly is truly a hit-or-miss game. The favorite from last week may very well be sprayed all over your kitchen wall the next week. 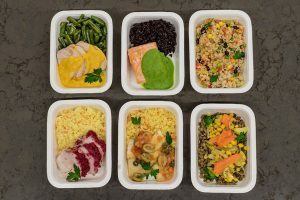 Here are a few of our tried-and-true baby meal prep solutions for my now 14-month-old who I homemade everything ever since she started eating solids at 4-months-old. 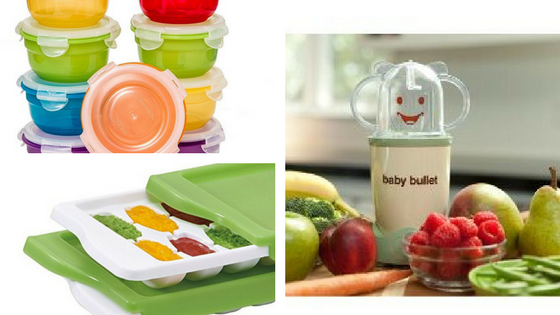 I can honestly say that my baby meal prepping success goes entirely to the Baby Bullet. This little blender is surprisingly powerful and each time I use it, I still think to myself that this was the best baby investment I have done so far. I wholeheartedly recommend it to anyone who is planning to make their baby’s food at home – and really it’s so worth it to do so, I mean have you seen the prices on baby food at the stores?! 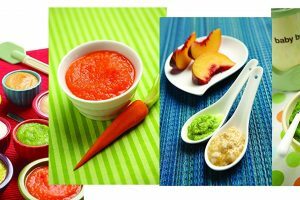 It is possible to make homemade healthy food for your baby for a fraction of the cost and you will be happy to know exactly what your little one is eating. With a little planning, I promise it will be easy and fun, too. The Baby Bullet system comes with everything you need from the little storage containers to a spatula and a recipe book but I did buy their Storage Completer Kit just to have more storage options. They also have a Steamer but I was fine boiling my fruits and vegetables in a regular pot. The most time consuming part about baby meal prepping is really the peeling and cubing. Invite friends and family over and hand them a peeler and a pile of fruits and veggies to help you out! 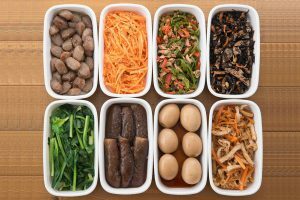 If you are like me and this is your first bundle of joy, I only had lunch meal containers, bento boxes and big plastic containers, nothing baby-size. It makes meal times quicker and easier if you have containers that hold an individual serving size fit for a baby. When you are baby meal prepping for a month’s or even a week’s worth of purees you quickly turn to rummage through your kitchen for any small meal containers for baby food storage. As you are only supposed to store baby food in the fridge for 3-4 days, the freezer becomes your BFF and it makes sense to look for fridge and freezer friendly baby food containers. 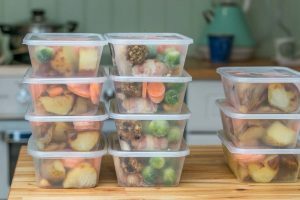 Babies eat several little portions throughout the day meaning that if the goal is to have three day’s worth of meals ready, I’d say at least 9 baby meal prep containers are needed. Of course, for older babies more daily portions are needed. You are the best judge of how much your baby should eat. Babies eat all the time so I found it helpful to meal prep for at least a week’s worth in one go. I froze most but it’s good to have some meals in the fridge ready to be devoured. These Mini Food Storage Containers are my favorite – not just for baby food but for any small portions. For a young baby though one little container holds an ice cube tray size portion perfectly. They are not the sturdiest plastic containers you have ever seen but I’ve used and re-used them over and over and they are still as good as new. I’ve even frozen the regular Baby Bullet cups and they have held up without issues for almost a year now and they are still going strong. 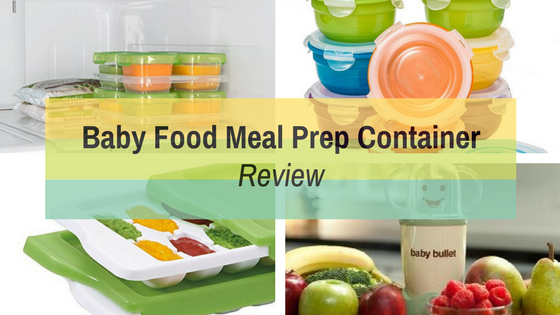 I also liked using the ice cube tray -looking Baby Food Freezer Trays which come with a handy cover so that you can be sure nothing unwanted gets in your baby’s food. These trays are outstanding for younger babies who are just starting with solids as one cube is a nice starter-serving size. For a more hard-plastic feel the OXO Tot 12-Piece Baby Blocks Set do a wonderful job and again they are the perfect serving size for a young baby. 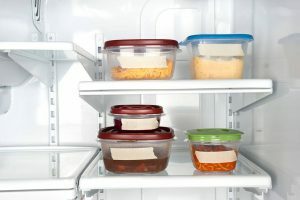 For babies with few months of solids under their belts, I recommend bigger containers like these little freezer containers – even with constant use in and out of the freezer, they hold their own. I regret not getting containers in a bigger size earlier as my baby’s appetite grew as it would have meant less dishes. For a 1+ year-old who likes her mealtimes I am now using these Sage Spoonfuls 4 oz containers and Lock & Lock Mini Bowls which both are sold in bulk and are honestly a huge value for the price. 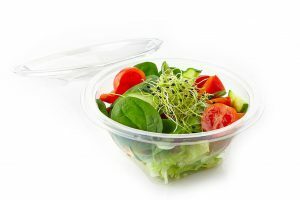 In conclusion, you will maximize your efforts of baby meal prepping by investing in a few different sizes of containers 2 oz and 4 oz ones especially. You will also need a blender to puree the food and a hint of experimentation to start creating fabulous home-made meals for your baby.